(WILMINGTON, Del., February 16, 2018) – AstraZeneca and MedImmune, its global biologics research and development arm, today announced that the US Food and Drug Administration (FDA) has approved IMFINZI® (durvalumab) for the treatment of patients with unresectable Stage III non-small cell lung cancer (NSCLC) whose disease has not progressed following concurrent platinum-based chemotherapy and radiation therapy (CRT). Stage III (locally advanced) lung cancer is commonly divided into three sub-categories (IIIA, IIIB and IIIC), which are defined by how much the cancer has spread locally and the possibility of surgery. This differentiates it from Stage IV disease, when the cancer has spread (metastasized) to distant organs. Approximately one in four patients with non-small cell lung cancer present with Stage III disease, which is estimated to affect over 43,000 patients annually in the United States. The majority of these patients are determined to have unresectable tumors. Until now, the standard of care has been chemotherapy and radiation followed by active surveillance to monitor for progression. The prognosis remains poor and long-term survival rates are low. IMFINZI® (durvalumab), a human monoclonal antibody that binds to PD-L1 and blocks the interaction of PD-L1 with PD-1 and CD80, countering the tumor's immune-evading tactics and releasing the inhibition of immune responses. 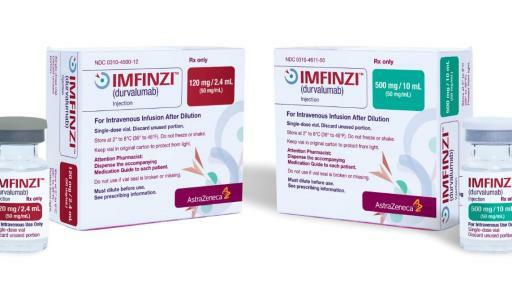 In May 2017, AstraZeneca received accelerated approval from the FDA for IMFINZI for the treatment of patients with locally advanced or metastatic urothelial carcinoma, who have disease progression during or following platinum-containing chemotherapy, or whose disease has progressed within 12 months of receiving platinum-containing chemotherapy before (neoadjuvant) or after (adjuvant) surgery. IMFINZI is approved under the FDA’s accelerated approval pathway, based on tumor response rate and duration of response. Continued approval for this indication may be contingent upon verification and description of clinical benefit in confirmatory trials. Additional discussions are underway with regulatory authorities around the world. As part of a broad development program, IMFINZI is also being investigated for the adjuvant treatment of patients with NSCLC in the Canadian Cancer Trials Group BR31 trial (ADJUVANT). In the MYSTIC, NEPTUNE, and PEARL Phase III trials, IMFINZI is being studied for 1st-line treatment as monotherapy and/or in combination with tremelimumab, an anti-CTLA-4 monoclonal antibody and potential new medicine, for the treatment of metastatic NSCLC. The POSEIDON trial is investigating IMFINZI with and without tremelimumab in combination with chemotherapy in a similar patient population. AstraZeneca strives to ensure that appropriate patients and their oncologists have access to IMFINZI and relevant support resources. These include educational resources, an Oncology Nurse Educator program and affordability and reimbursement programs, such as Access 360. Additionally, AstraZeneca has launched Lighthouse, a program that provides support to patients during any immune-mediated adverse events they may encounter during treatment, through medically trained Lighthouse Advocates. 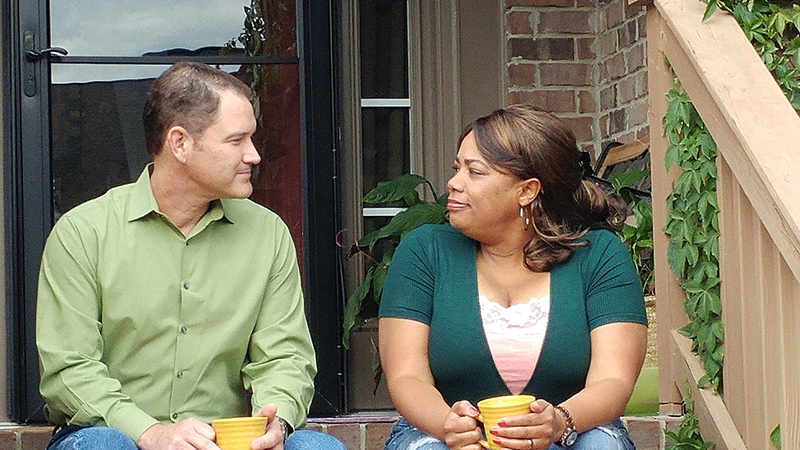 The program aims to make patients’ treatment experience as comfortable as possible. Find out more about Lighthouse at LighthouseProgram.com or call 1-855-LHOUSE1 (1-855-546-8731). Immuno-Oncology (IO) is a therapeutic approach designed to stimulate the body’s immune system to attack tumors. At AstraZeneca and MedImmune, our biologics research and development arm, our IO portfolio is anchored by immunotherapies that have been designed to overcome anti-tumor immune suppression. We believe that IO-based therapies will offer the potential for life-changing cancer treatments for the clear majority of patients. AstraZeneca has a deep-rooted heritage in Oncology and offers a quickly-growing portfolio of new medicines that has the potential to transform patients’ lives and the Company’s future. With at least six new medicines to be launched between 2014 and 2020, and a broad pipeline of small molecules and biologics in development, we are committed to advance New Oncology as one of AstraZeneca’s Growth Platforms focused on lung, ovarian, breast and blood cancers. In addition to our core capabilities, we actively pursue innovative partnerships and investments that accelerate the delivery of our strategy as illustrated by our investment in Acerta Pharma in hematology.